Hello there, today I have a review of the Gemini FoilPress machine from Crafter's Companion which was kindly sent to me to review. This is a hot foiling system that is made to be used with the Gemini Junior and Gemini Die Cutting Machines. 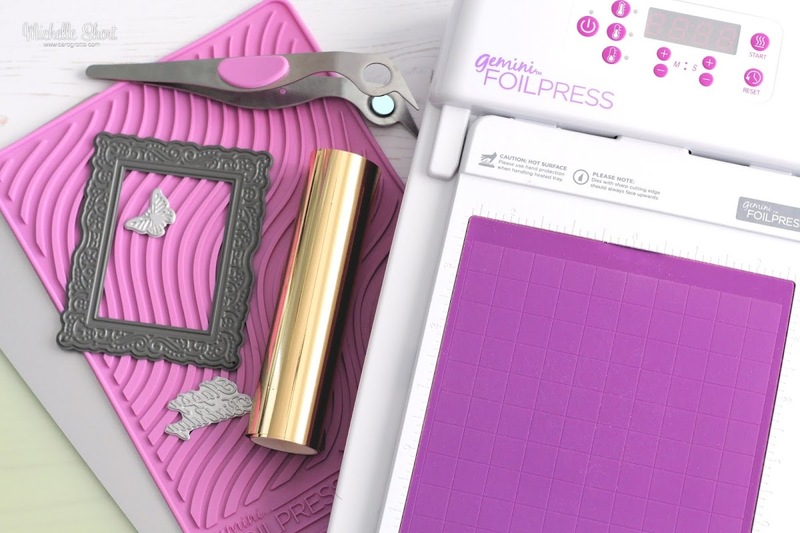 The main idea is that you use the Gemini FoilPress to heat up a die, add foil to it and whatever media you want to add the foil to, and then run it through the die cutting machine to press the foil into the media. The Gemini FoilPress retails for approximately £95 here in the UK, so it is definitely an investment piece and will not be for everyone. Let me say now though, that I love it! I especially love that I can use lots of dies that I already have in my stash with it. Crafter's Companion have said that the machine is made to be used with the Gemini Junior and Gemini (with an adapter) die cutting machines only. They have not tested it out with other die cutting machines. I have heard that it may work in a Big Shot, but I do not know as I do not own one. The other hot foil machines that are on the market do not work in the Gemini machines, so that is why they have specifically made it to work in them. The machine itself is light weight and easy to use. In the video, I am using it for the first time and found the instructions easy to understand. You need to pre-heat the machine first and then add the media and set the time based on what media you are using - the size of the die and the material you want to add the foil to. 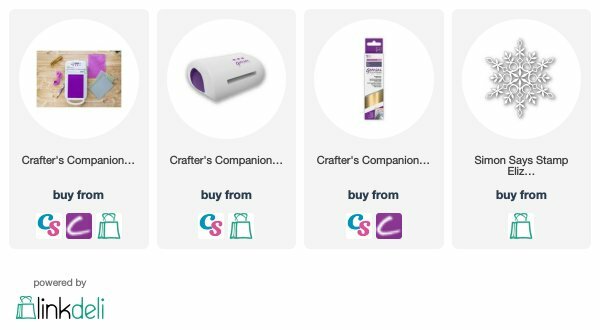 Crafter's Companion have a number of Foil Stamp Dies, as well as Foil Stamp 'N Cut Dies that are specifically made to use with it, but there are lots of other hot foil dies on the market. You can also use any of your thin metal dies that you already have in your stash. If you are viewing this blog post via email subscription, you can watch the video here on YouTube. Like I say above, it is definitely an investment piece and you do need to have a Gemini or Gemini Junior to use it. I love that you can foil on to a number of surfaces (cardstock, vellum, mirror card, acetate, leather, fabric and ribbon) and there are quite a few different colours of foils available too. You need to use foil specifically for hot foil with this machine, you cannot use Deco Foil or the foil made to be used with the Minc machine. For me, I am going to enjoy foiling with the dies that I already have in my stash. 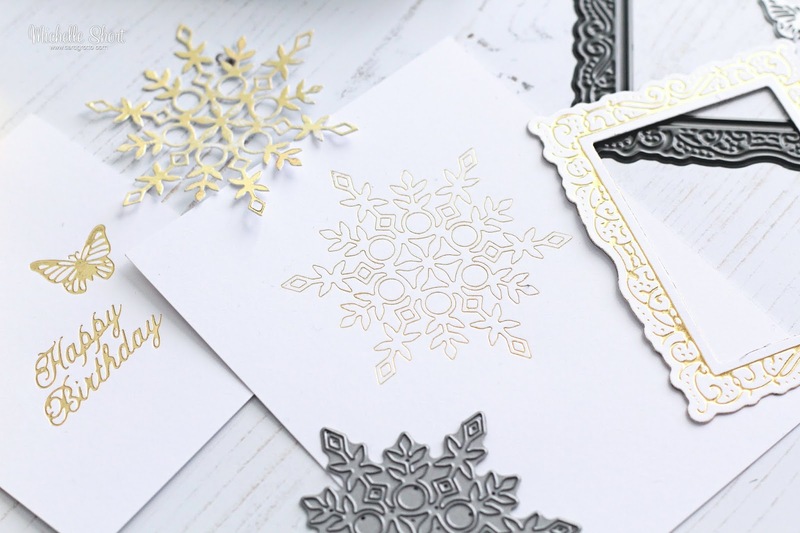 I particularly love the delicate thin lines of foil with this look. Here are the links to what I have used in the video. Affiliate links are used on some products. This means that if you make a purchase after clicking on my link, I receive a small commission with no extra cost to you. I truly appreciate your support when using these links. Please click on the logo below the product to shop at your favourite store. Products marked with an asterisk (*) were kindly sent to me to use. I am hoping to share some projects with you using this machine soon, but in the mean-time, I hope you have found this review helpful. Thanks so much for visiting me today. I hope you have a wonderful day!